Thanks to the wonderfully creative and very talented author Sutton Shields for inviting me to participate in this blog hop. 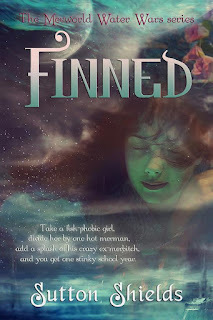 I am completely addicted to Sutton's The Merworld Water Wars Series and will be posting my review of Finned tomorrow. In the mean time, you can check out Sutton on her website, twitter, and Facebook page or purchase her books at the links below. Trust me...they are an excellent read! 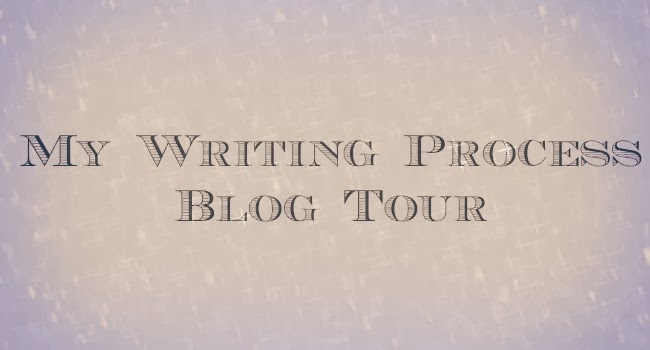 Now on to the actual blog hop where I've been tasked to answer a few questions about my writing process. Well, the answer is A LOT! I have been jumping around between three different stories and one screenplay over the past couple of weeks. 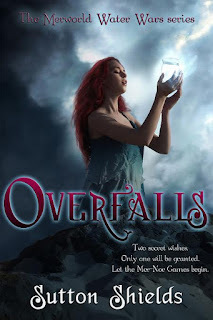 Today, I'm working on Waterfall - A Water Crisis Chronicle prequel novella. I've also been getting back into my Leila Marx world by writing Touching Death. I've missed these characters so much and I'm so glad to be back in their world. 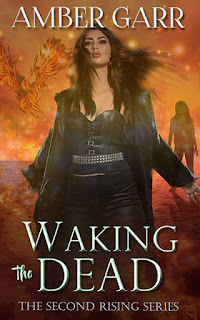 I also have plans to begin Lifeless - Book Two of The Death Warden Series pretty soon as well. My intent is to have all of these released this year. Well, let me start with The Water Crisis Chronicles. These are new adult dystopians...and most NA releases are contemporary romance. So that's a bit different. The screenplay I'm working on (and that may never see the light of day but I have to write it anyway) has nothing to do with the supernatural world - and that's very different for me. But I had this dream about the main character and pictured the movie ending...thus I'm taking a stab at screenplay writing. It's really different, but in a good way! The simple answer - because I need a brain break! I love creating worlds and characters that maybe could exist because scientifically, they make sense. I spend all day working as a scientist, so when I get home I need a little dose of fantasy! Plus, these are the genres I enjoy reading. I'm not reading contemporary romances, so it really wouldn't make sense for me to write one. Nor do I read any high fantasy or have the urge to write in that genre. So I write what I do because I wish that I could live in these worlds all of the time! Like really, really wish it! I typically envision the very first scene of a book and go from there. And those usually just pop into my head at any time. I will usually write (like by hand in a notebook) the major points of each chapter so that I can focus on how I want each chapter to build on the one before. Then I start from the beginning. I'm too Type A to jump around and write random chapters. Once it's done, I have an amazing group of critique buddies who help me fine tune and another set of beta readers who help provide valuable feedback. I also put my book on my kindle and listen to it out loud during my commute each day. That helps me find those dang missing words I have a bad habit of forgetting! Oh, and I ALWAYS listen to music when writing - even for my day job. I simply don't function in silence! So next week, you can visit with Juliette Cross and Adrianne James to find out more about their writing process! Juliette Cross calls herself a southern writer with a love of sensual settings, snarky heroines, and dangerous men. And she's not lying! I had the honor of beta-reading her Nightwing Novellas and let me tell you - they are to die for! You can find out more about Juliette at her website, on twitter, or on Facebook. I recently met Adrianne and have been so impressed with her novels and her commitment to supporting cancer research. Growing up, Adrianne couldn’t get her hands on enough books to satisfy her need for the make believe. If she finished a novel and didn’t have a new one ready and waiting for her, she began to create her own tales of magic and wonder. Now, as an adult, books still make up majority of her free time, and now her tales get written down to be shared with the world. During the day, Adrianne uses her camera to capture life’s stories for clients of all ages and at night, after her two children are tucked in bed; she devotes herself to her written work. Adrianne is living the life she always wanted, surrounded by art and beauty, the written word and a loving family. As a young adult and new adult author, Adrianne James has plans to bring stories of growing characters, a little romance, and perhaps a little magic and mythology down the line for her readers to enjoy. You can find out more about Adrianne at her website, on twitter, or on Facebook.